We have been cleaning carpets across the Garforth and Kippax area for years, meaning we're one of the city's experts in stain elimination, carpet cleaning and upholstery cleaning; and, on top of that, we’re based locally, only minutes away. Our specialised team will guarantee your satisfaction with clean, stain-free carpets that smell as unspoiled as the day they were laid. 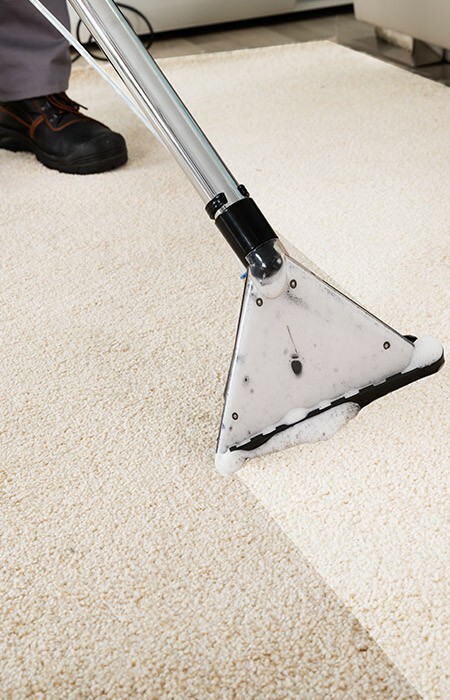 We only use the best equipment and techniques - far beyond the capabilities of commercially available hire machines - to make certain that your carpets will be cleaned and ready to walk on within 2 hours. Our exceptional service is sure to make you smile and the process is safe for both kids and animals. We can also clean and stainguard your upholstered furniture and rugs. We have the expertise to gentle but thoroughly clean and stain guard leather furniture. If you’re in Garforth or Kippax, get in touch and we'll arrange to give you a free estimate for carpet cleaning. We'll also arrange to visit in person, so we can supply an on-site fixed price quote - always obligation-free. Call us on 0113 370 9094 for a free quote on cleaning your carpets.